Book Fair is the biggest event for literature. It is held every year during the first week of the month. 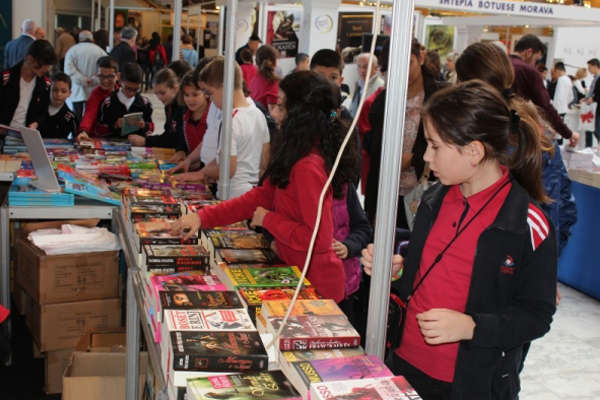 It is amazing to see the high interests of Albanians toward books. From 9-13 November the Palace of Congresses is the most populated place. People meets their favorite writers, buy the preferred books with autographs. A decade ago the international books and Nobelist writers were more preferred by readers but last years this trend has changed. Now Albanians choose to read their national writers. It is interesting the fact that the books written by politicians or former politicians, journalists and historians are best sellers. Even kids have their special place in this Book Fair. There are a number of books dedicated to the children, but they can find as well all the best sellers books in the world, translated in Albanian. 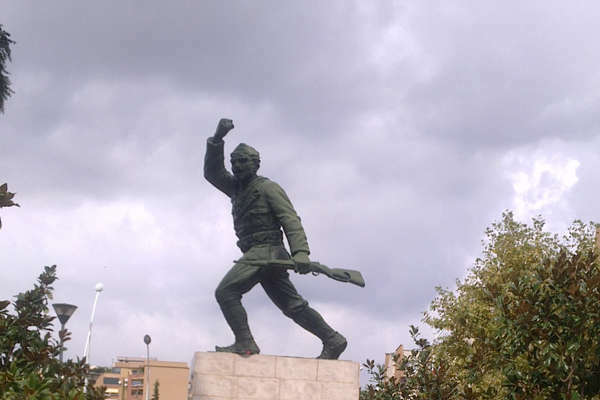 Tirana Liberation Day (17 November.) 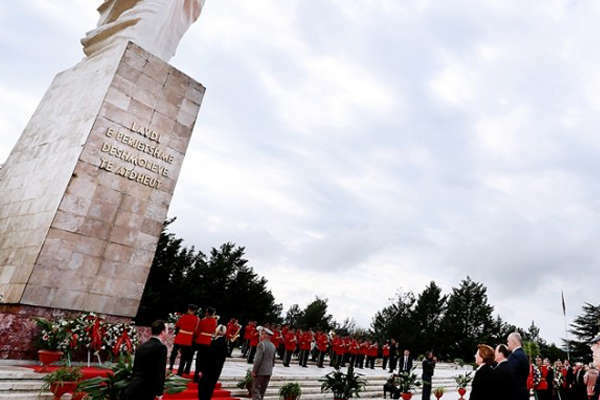 In this day the Tirana Municipality organizes some festive activities, but the most traditional one, is that moment when veterans gathers at 'Unknown Solder' monument, putting there flowers and remembering this historical day. National Independence Day or Flag Day on 28th of November is the most important day in the history of Albanians, the day where in year 1912 the noble man Ismail Qemali, raised the Albanian flag in Vlora, to declare that Albania is an independent country. It was the time where Albanian territorial integrity was threatened from all sides. 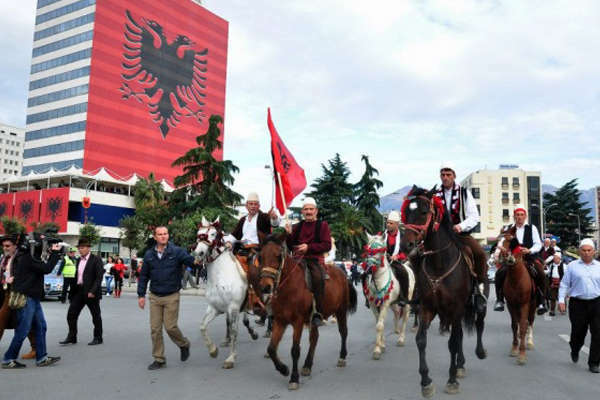 Main cities holding celebrations are Vlora and Tirana. White Night The night between two important days of Albanians (28-29 November) is declared as White Night as the city spends the whole night out. A lot of activities are organized from Municipality, such as open concerts, in different parts of the city sometimes accompanied by "partisan fires" and songs. 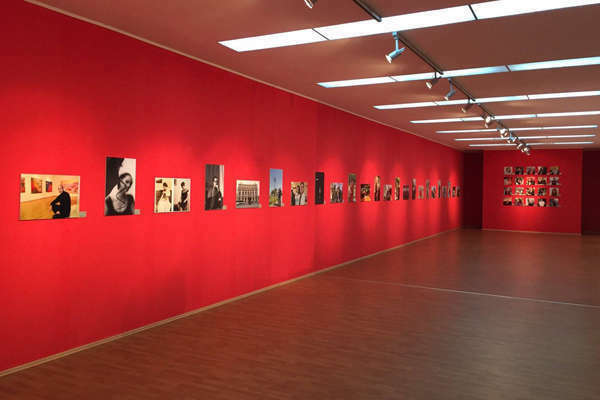 The galleries and museums are free to visit, and a lot of other surprises are planned every year. Last year it was John Newman invited to sing for White Night, this year it is a famous Italian artist Giusy Ferreri invited to perform for this day. National Liberation Day (29 November) is the date where, as history says, the latest German left our country in 1944, signing the end of WW2 in Albania. It used to be the most festive day during dictatorship regime, but now is not such important as Independence day. 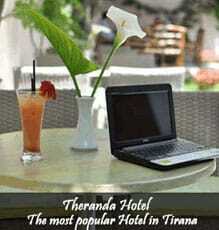 Nevertheless, both dates are Public Holidays and chances of lively Albanian people who love to celebrate. 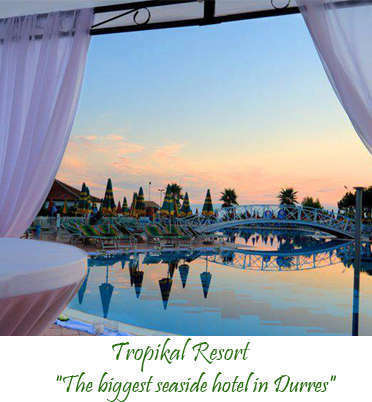 Despite the activities organized by Municipality all these days, many Albanians use public holidays to organize family trips, traveling around Albania or outside. Still, one fact is unchangeable, that November is the most festive month in Albania. 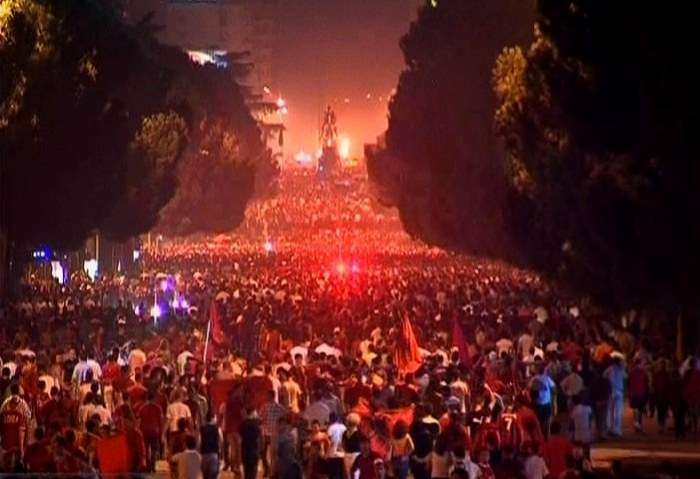 Tirana is in the center of all celebrations.